4:00 PM, their actual boarding time. Finally. On board, Janelle was actually planning subconsciously where to hang-out and party later. But the delay did not stop there. The moment their flight was given a start-up clearance by the ground controller of Manila Control Tower, their plane taxied from the starting point up to the holding position of taxiway G11. She thought that they were ready for take-off, only to find out that they have to wait at their present position for another 40 minutes. Janelle was getting frustrated. She was losing her patience and she can no longer afford any more delays. According to their pilot, their flight's number three in the departure sequence of Runway 13 (the runway near domestic terminal), and they were instructed to wait as per air traffic controller's instruction. At 4:53 PM, their plane finally took off. But their ordeal did not stop there. 20 minutes after, their pilot advised that they are returning to Manila due to the sunset limitation of Caticlan Airport. Meaning, Caticlan Airport does not have any adequate equipment to handle night operations. Janelle and the rest of the passengers of that flight will be accommodated to the next flight the following day. Janelle had never been furious in her entire life. "THEY RUINED OUR VACATION!!! I WILL NEVER RIDE (insert airline company)! SLOPPY SERVICE! #ihateyouforever #MyLifeSucksBigTime." Janelle's sudden burst of emotions maybe inappropriate but she is definitely not alone. Almost everyone right now is experiencing delays and even cancellation of flights, mostly from the domestic sector. As we all know, flying has been the most convenient way to travel. During the early times, flying was an expensive way to travel and only those were privileged can afford this form of transportation. Today's different though. In this day and age, more and more people can afford flying all thanks to the promo fares of low-cost airlines. True enough, every Juan can fly. More and more airlines joined the bandwagon. As the fares got cheaper, the demand of flying skyrocketed. More routes were introduced and air traffic increased dramatically. 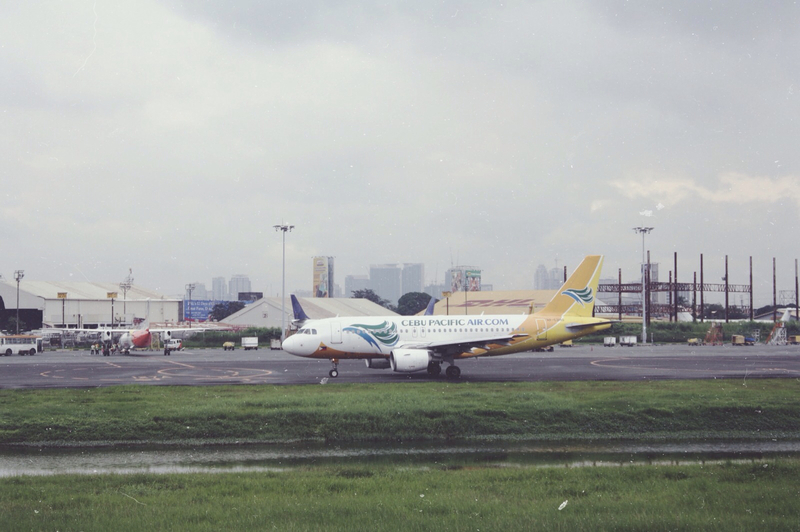 During the mid 90s, NAIA handled no more than 300 flights a day. Today, NAIA is handling almost 900 flights per day, and the number is still increasing as airlines put more and more flights in and out of Manila, just to cater the flying needs of the public. To answer this growing demand, the government built more and more terminals. NAIA Terminal 3, the biggest of the four, has 34 bays (parking slots for planes) and 20 remote bays and can accommodate at least 10-12 million passengers per year. True enough, it handled the passenger and the aircraft volume but they failed to realize the layout of NAIA. 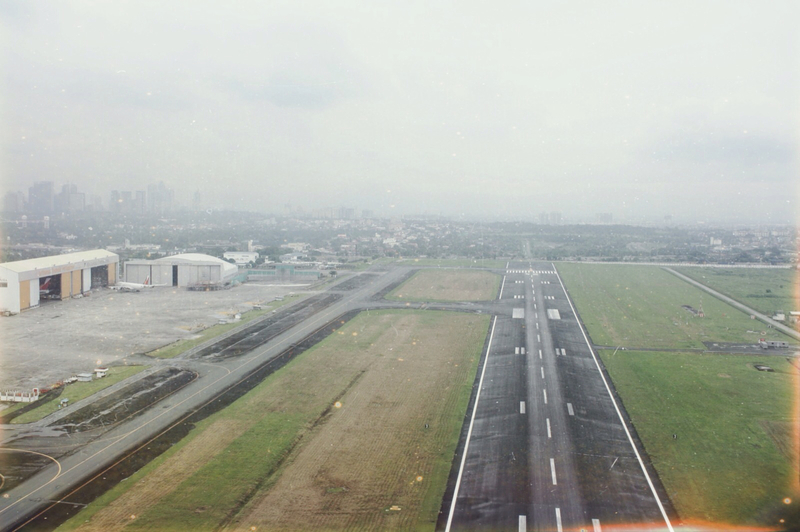 The primary gateway of the Philippines has two runways: the primary runway, 06/24, and the secondary runway, 13/31. The problem is this: these two are intersecting runways and simultaneous operations are limited (except for runway 31 and runway 06/24 departures). If NAIA has two parallel runways, we wouldn't be experiencing numerous delays. Sunrise to Sunset Limitations. 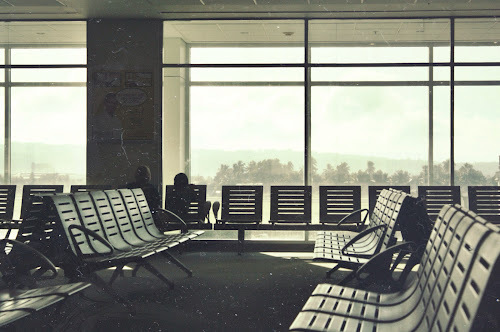 There are a total of 81 airports in the country; only thirteen of which are capable of night operations namely Manila, Laoag, Clark, Subic, Tacloban, Mactan-Cebu, Iloilo, Bacolod, Kalibo, Puerto Princesa, Cagayan de Oro, Davao, and Zamboanga. Thus, airlines have no choice but to squeeze majority of their domestic flights on a particular time frame. Like Janelle's case, if the pilot-in-command sees that they can no longer make it on time, he will opt to return to Manila and cancel the flight. Parking bays - Limited Edition! Some airports are too small that they can only accommodate 2 Airbus A320s at the same time. Tagbilaran Airport is a good example for this situation. Bohol is one of the major tourist destinations of the country, and since the advent of promo fares, more and more flights are coming in and out of Bohol. 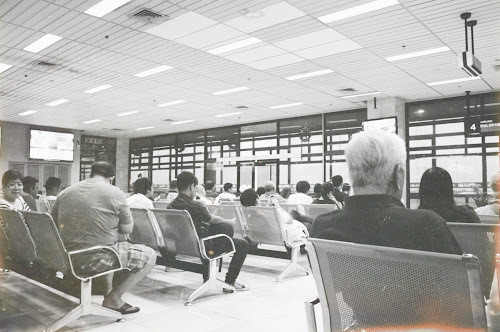 Tagbilaran Airport is Bohol's one and only major airport. This airport is not capable of night operations, thus local airlines have to secure a slot from 6AM to 5PM. 'Slotting' is regulated by Air Traffic Flow Management or ATFM and only two aircraft are allowed to depart from Manila to Tagbilaran. But sometimes, due to delays, it is possible that all flights bound for Bohol may have the same ETD. Ground Traffic. NAIA is a very congested airport. There are times that an aircraft has to wait at a holding position in order to give way to the arriving traffic. Arrivals are given higher priority than departures. Well, it all boils down to the aerodrome layout of NAIA. Air Traffic Controllers, particularly in Manila Aerodrome Control Tower, Manila Radar Approach, and Manila Area Control Center are trying their best to serve flights at the most expeditious way without compromising safety. One can't just simply instruct the planes to depart and land. They have to be vertically and/or laterally separated before giving climb, descend, take-off, or landing clearances, whichever applies. The government is considering of transferring operations to Clark International Airport. The airport has a bigger land area and has parallel runways. But despite having parallel runways, it's still unable to cater simultaneous operations (that is, landing and take-off) since both runways are only 500 meters apart, the minimum of which should be 760 meters according to international standard mandated by ICAO (International Civil Aviation Organization). Other than that, there are no high speed transportation from Manila to Clark. The fastest way is through a private car, which usually takes 2-4 hours, depending on traffic. There was a plan of building a huge airport complex somewhere south. The plan was to build an airport with two parallel runways accompanied by one huge terminal, similar to Hongkong's Chep Lap Kok. But then again, it is still on the planning stage and we do not know if this plan will be truly realized. I know that almost everyone of us hate delays, I mean, who doesn't, right? To avoid delays, take the first flights. If you're taking the afternoon to evening flights, expect delays. Now, I believe that you'll be having second thoughts of ranting about your delayed flight. After all, the public demanded for more flights, hence the public has to pay the price. An aircraft will be given instructions when and where to maneuver to the assigned runway prior taking off on a first come, first serve basis, not from the airline's estimated time of departure. Now, here's the catch. Manila is a busy airport... Well, busy is an understatement. There are so many aircraft flying in and out of Manila. Air traffic controllers can't just give a "go signal" to an aircraft to just fly to their destination without restrictions. Departing aircraft shall wait for their turn because arriving aircraft have a higher priority. It is actually a complex and a daunting work because this job requires team work and coordination. When these delays start to pile up, it will totally affect the turn around time of the aircraft. It is also not possible to add additional runways at NAIA. Take a look around the NAIA complex, or better yet, check it out at Google Maps. The area around it is so congested that an expansion is just an illusion of grandeur. Well, the only possible way to decongest NAIA is to upgrade some airports, make them capable of night operations. Through this, flights will be equally distributed and delays will be mitigated. I hope this will enlighten you a bit. If you have any questions, please don't hesitate to ask me! I don't bite. I don't agree with the public having to pay the price, though - I think we're paying a lot already as it is =(. If the terminal and the airlines offer the additional flights, they should make sure they have the capacity for them. The perks of being an air traffic controller in the making... You have to memorize the aerodrome layoutnof NAIA. Lol. IDK, the public has always been demanding. If airlines do not answer their demands, the public would rant about their 'sloppy service'. They are given no choice but to accept it... And besides it deals with a huge amount of money. This is a very informative post, Renz! I haven't experienced cancelled flights (at sana hindi ako maka experience nyan, but delayed flights yes. And i already have it in my mind that one of the reasons for delayed take-offs and delayed touchdowns are the fact that more flights are coming and going. The latest we had, just last Friday, we were almost 40 minutes on the ground waiting for our turn to take off. The experience we had last Friday made me decide not to take first flights out to catch an 8am appointment in Manila. Should these really justify the delays? It's as if they're fishing for fools. And the sad thing is we keep on taking the bait. Worth sharing this post. Ang galing! Many people think that the true blame is with the airlines. I think otherwise. It is the incapacity of the government to provide good infrastructure that is the blame. Not only that. We do not plan our land use. Agricultural lands are made into subdivisions, into smaller parcels. This makes it difficult to convert our lands into commercial districts, airports and new large areas to develop. Makati, BGC are successful examples. I have to agree with you, Anon! Sigh. Very informative.Thank you very much. But, what about Tiger Airways Cancellations of flights bound Manila_Davao_Manila scheduled on last week of October and First week of November without giving any reason? "Now, I believe that you'll be having second thoughts of ranting about your delayed flight. After all, the public demanded for more flights, hence the public has to pay the price." This is very true, we demanded for more promo fares/flights, we have them at a 'price'. But I will still take the delays mainly because I am one of those who experienced scraping money just so I can pay the P5k+ one way ticket to go home to Cebu. At that time, there were no promo deals available. Now I can have a roundtrip airfare at P1K if I am lucky to get one of the piso fare deals. But I do wish we can have more well-equipped airports and yes, new airports too so perhaps delays will become rare and rare. As travelers, we cannot accept delays esp when some of us are first time flyers or we have an important event or occasion to catch up. This is business and if a customer gets frustrated, airlines have to deal with it. They must not expect everyone to understand their explanations well.. In fact, they should do something (effective) about it knowing that this kind of situation is getting rather frequent. But for me, this post can help a lot of people understand why such unforeseen situations happen, at least..
Fastidious respond in return of this matter with real arguments and telling all on the topic of that. Hi! Love your shots and adventures! I'm going to Cebu soon and is looking on http://www.webbline.com/budget-hotels-in-cebu/ for cheap hotels :D I am open for suggestions bcoz I still can't decide where to stay hehe Any suggestion?